1. What’s the best gig that you’ve been to in the last five years, or has inspired you the most? There’s a couple to be honest, seeing The Cult at Rambiln’ Man was pretty amazing, never been a huge fan of them in the past but since that show they’ve been a constant on the record player. We also got to see Rodger Hodgson at The O2, that was awesome! Well and truly got schooled in the art of song writing that night. Talking of the O2 also go to see Foo Fighters there, possibly one of our favourite bands of all time Dave Grohl is a serious inspiration. 2. What is your favourite part of touring and what is your least favourite part of it? It has to be the shows themselves, just getting out on a different stage every night in front of a different crowd it really does keep that spark burning. The whole reason we started was to enjoy ourselves and the music we wrote, and now to see there are so many people coming to the shows and enjoying that same music, it really hits home! Least favourite part has got to be being stuck in the van for hours and the fast food diet! Something we have to change this time round. 3. What’s your favourite UK venue so far, and why do you like it so much? Can share some memories about this venue? There are so many cool venues now, it’s really hard to pick! Mama Roux’s in Birmingham was really cool when we played there it's all done out like New Orleans. The Rainbow in Birmingham was cool too, we played one of the hottest shows ever in there with Crobot I think I went through 4 or 5 t-shirts it was so sweaty! I'm really looking forward to the upcoming tour as I've always wanted to play the Thekla, as it’s on a boat and the Deaf Institute, too. 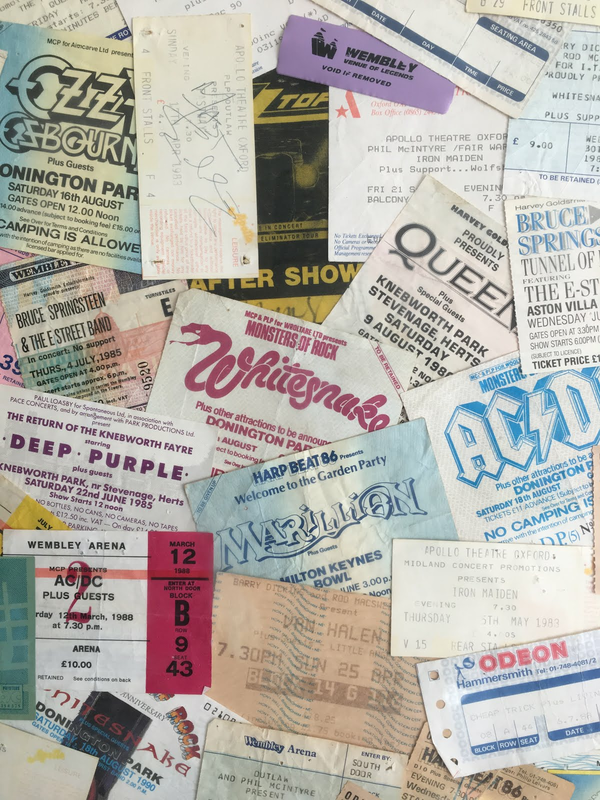 I’ve been to a couple of shows there and loved it! Most of the venues on the tour are new to us so I can’t wait! 4. Do you have a pre-show ritual? If so what is it? We don’t have much of a pre-show ritual, there’s a couple of little things we do just to relax. Personally, I down a double Jack Daniels! Helps calm the nerves. Karl always shouts, “BIG SHOW BOYS!” as soon as he sits behind the kit, that’s when we know it’s going to be a good one! 5. What is your favourite part about playing live? It’s a hard feeling to explain, when you’re on stage, that is your world. Nothing else matters apart from the songs you’re playing and the crowd in front of you. In all of that loud, fast music there’s always a sense of calm. I love it. The warmth from the valves the punch from the kick drum that hits you in the chest, the rumble of the bass and the interaction from the crowd and the fans. It’s always amazing to hear the reaction and meet everyone after the show. 6. How do like to relax on a day off during a tour? We tend to just hang out, get some decent food, call our families and friends just to catch up. The last few times we’ve ended up in music stores looking at new gear. he’s not just a guitarist! Again, the way he plays and writes, again is massively inspirational. 8. You recently released your debut album ‘Starting Gun’. How does it feel to have it out there now and what has the response been like? It feels great! Something we’ve always wanted to do is to release a full-length album and it just felt right to do it when we did. A lot of blood, sweat and tears went into the writing of those songs and the response has been incredible to them, better than we could have imagined. We charted in the UK rock charts at number 17, something we’re immensely proud of, and massively thankful to the fans for helping us achieve. Role on album number two!! 9. What is the creative and recording process like for you guys? We spend a lot of time in our rehearsal space just playing whatever's in our heads, then if I can think of a melody I try to add some vocal lines. On ‘Starting Gun’ we were almost rough and ready in the studio, there were some songs like ‘Let’s Misbehave’ for example that didn’t have lyrics until the day I was due to track them (and I must say I haven’t truly known what I meant in that song until very recently) to some artist this must sound like hell but I love it. We always record the rhythm section first then move on to guitars then vocals. We're always eager to try new techniques out too. 11. You are hitting the road with Federal Charm. Have you met the guys before? No, we’ve never crossed paths with them before. So, we’re looking forward to venturing out with them. 12. What can we expect from the tour? All of the favourites from ‘Starting Gun’, maybe something new and maybe a few little surprises we’re working on. We’re going to be more explosive than ever before, more dynamic and just going to have a lot of fun! Its’ gonna be one hell of a ride!